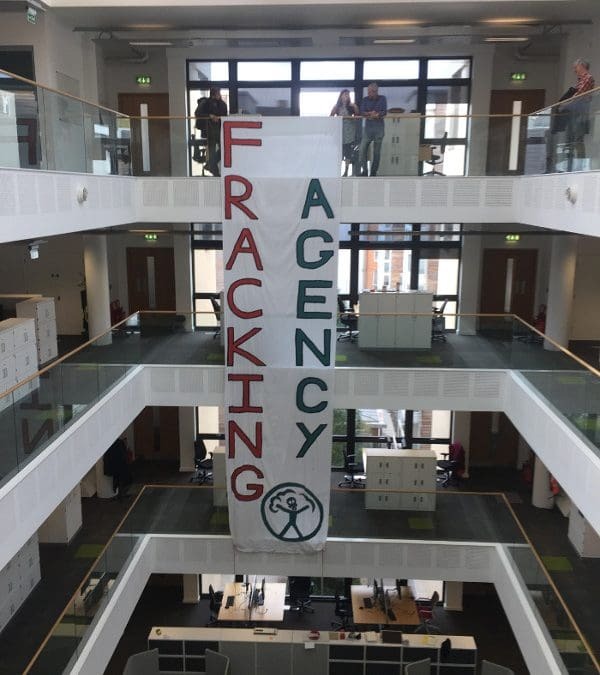 Climate activists from Bristol Rising Tide dropped a 9 metre banner from the atrium of the Environment Agency today in a protest against the body’s facilitation of the fracking industry. The 50 person protest took place at the Environment Agency’s headquarters, Horizon House, in central Bristol. 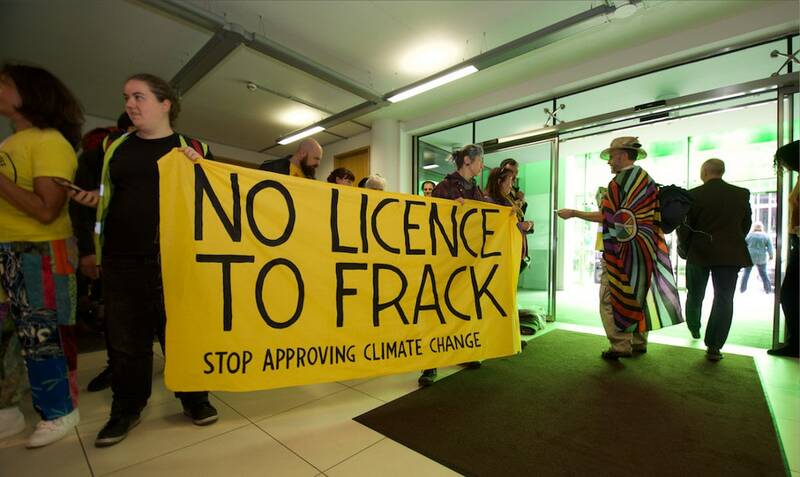 The action organised by Bristol Rising Tide highlighted the Environment Agency is a key facilitator of the fracking industry by giving ‘environmental’ permits to private companies. The Environment Agency is central to countering climate change in the UK. It manages flooding, coastal erosion and other climate impacts. At the same time it grants licenses to oil and gas sites across the UK. In the last three years it has granted licenses to Cuadrilla at Preston New Road in Lancashire, to Third Energy at Kirby Misperton in North Yorkshire and to other oil and gas sites near Grimsby, Scunthorpe, the Weald, Immingham and Winchester. We call on the Environment Agency to make good its responsibilities to act on climate change by resisting oil and gas extraction across the UK.